"Rarely does a month go by without Louisiana receiving recognition for its inability to retain quality jobs and opportunity for its citizens," Daniel Erspamer, CEO of the Pelican Institute, said. "As tens of thousands of Louisianans continue departing the state for friendlier neighbors, businesses and working families in Louisiana need tax reform now. Leveling the playing field for everyone contributing tax dollars would jump-start the state’s economy, lead to better quality of jobs and save Louisianans more of their hard-earned money." Taxes on capital and inventory penalize manufacturing firms with large holdings, Jacobs notes, and numerous targeted tax breaks associated with individual and corporate income taxes essentially penalize middle-class families and small businesses "who do not have lobbyists to advocate on their behalf." 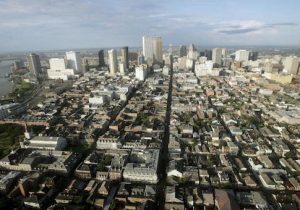 While individuals and corporations have benefited from federal tax reform, Stephen Waguespack, president and CEO of LABI, told Watchdog.org, "the national picture helps mask critical problems here at home. "At the federal level, taxes and regulations were slashed, and the market responded in a positive way. The opposite seems to be happening in Louisiana. The state’s unpredictable tax climate has negatively impacted manufacturers, service companies and inventory-dependent businesses of all sizes." "Policy-makers should eliminate this scenario by repealing the deduction for federal taxes in the state Constitution, and use the savings to fund lower tax rates overall," the report states. It also recommends that the Legislature repeal franchise taxes, inventory taxes and inventory tax credits, as well as job "incentive" programs. It suggests that the corporate income tax be eliminated entirely, or significantly reduced, and that rebates, deductions, and credits (both refundable and non-refundable) existing in the corporate tax code also be eliminated. "If lawmakers decided to eliminate all these exemptions and credits, they could lower tax rates by roughly 40 percent, and yet still collect the same amount of revenue," Jacobs said. By simplifying the tax code and making it easier for businesses to grow, lawmakers could collect even more revenue by broadening the base and lowering rates, he added. The institute's proposal went through more than 20 different iterations and "much review and vetting by both nationally recognized policy and local tax experts," Erspamer told Watchdog.org. "We are hopeful legislators will consider implementing the reforms package we've developed, and more importantly, we encourage all Louisianans to ask their legislators and those running for office if they support it." "Tax reform can spark an economic revolution in Louisiana—if lawmakers take the initiative to act," Jacobs adds.